145 N. Park View Street has small town charm written all over it — so much so that John Mellencamp’s “Small Town” keeps running through my head just looking at this image (does that age me?). 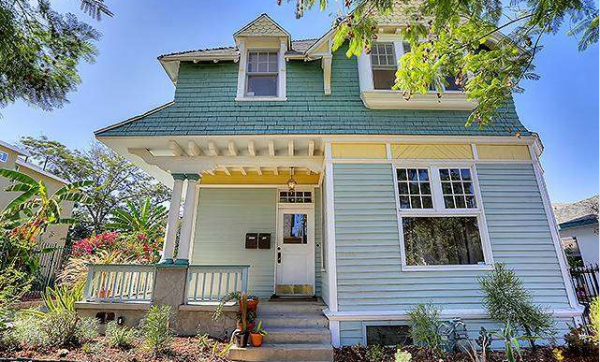 Though zoned as a duplex, this picture postcard 1915 Victorian is now a single family 3 bedroom, 2 bath home. At 2,549 sq/ft. 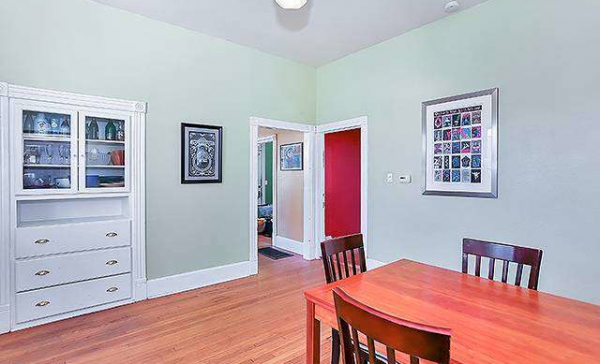 the asking price of $615,000 seems like good value per square foot. 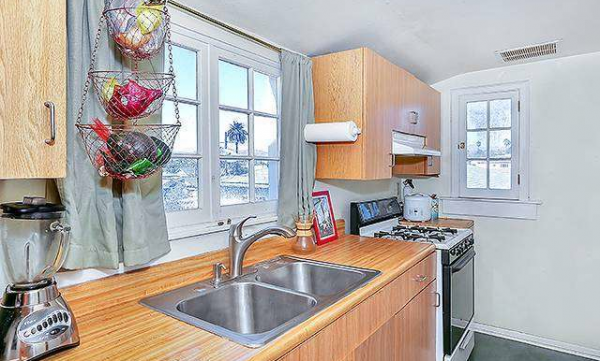 One of the few remnants of it’s time as a duplex are not one, but 2 kitchens. This may seem like overkill, but come holiday season, it could certainly be a boon (see — small town words). 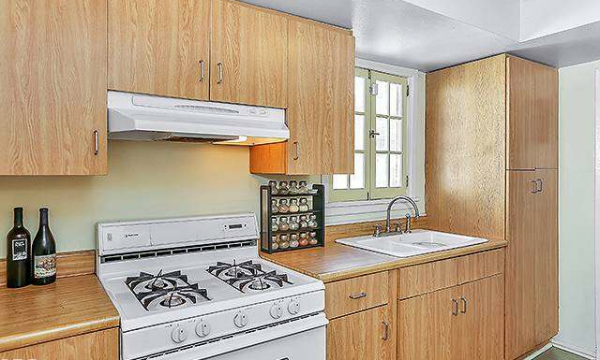 While both kitchens are definitely heavy on the wood, which I am strangely okay with, newer appliances would definitely give it a more modern, clean look. The downstairs areas are airy and bright with a large living room, family room, and dining room. 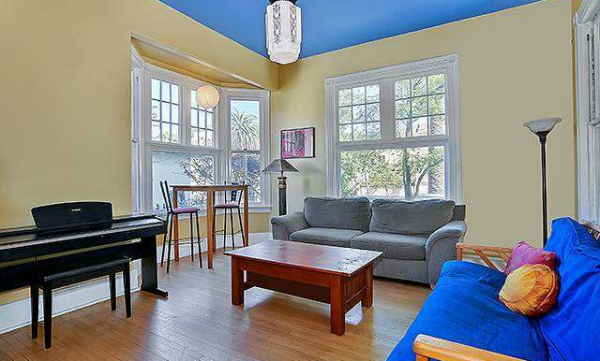 Hardwood floors run throughout, not to mention one very interesting color choice for the ceiling. 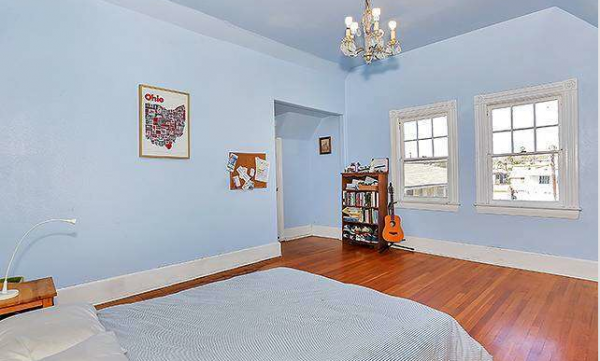 Still, I’ll never tire of bay windows and built-ins. The bedrooms are generous, though I am partial to this guest room as it gives me flashbacks to my childhood room. Sadly, the “Empire Strikes Back” poster is not included. 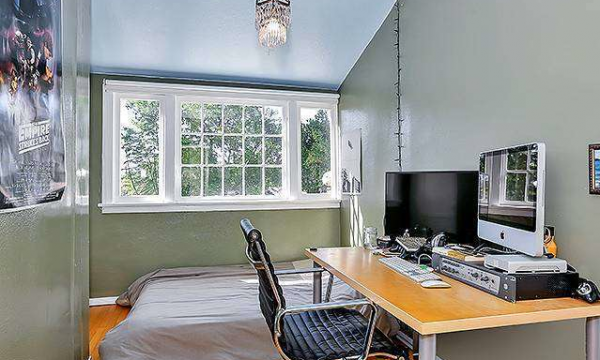 Okay, I assume you probably want to see a different bedroom? Well, here you are. I hope you like baby blue. Outback the well-landscaped yard is surrounded by a picket fence. The home also includes a detached 2-car garage. I’m really not sure what to make of the back of this home. It almost looks like an obelisk coming out from the porch. Whether looking for rental income (with a low gross rent multiplier), or for yourself, it’s a large home with room to grow. Currently the home is tenant-occupied, but for a private showing, please contact Jovelle Schaffer at (213) 718-1110. 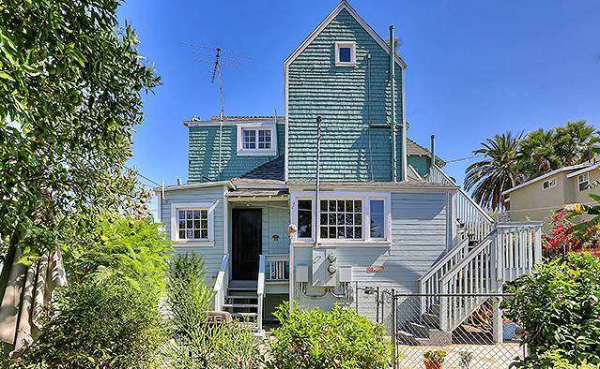 Nicholas Monteer of Coldwell Banker, Los Feliz has the listing.